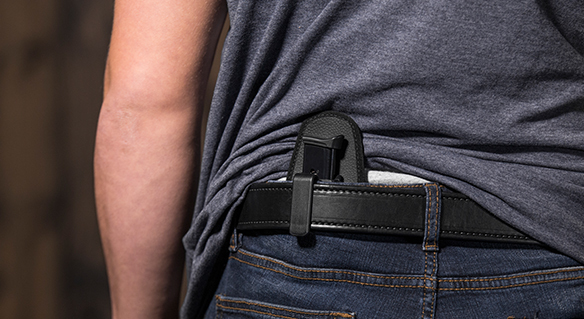 Because of its revolutionary design, the Cloak Mag Carrier is capable of being an inside-the-waistband mag holster (IWB) or outside-the-waistband (OWB). Conceal your extra magazine one day, then open carry it the next! Every order includes a removable neoprene backer for comfortable IWB carry and a pair of durable belt clips. This is the first mag carrier of its kind. Every Cloak Mag is equipped with adjustable retention, allowing you to choose how loose or tight your spare mag fits in the magazine bucket. A perfect level of retention can be achieved with just the turn of a few screws. Tighten it for added security or loosen it up to provide a quicker draw. The choice is yours! 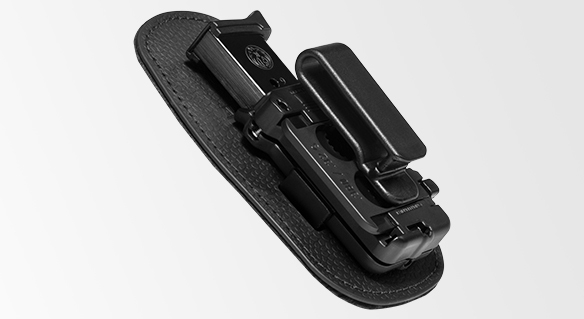 Similar to our IWB holsters, the Cloak Mag Carrier offers a range of cant adjustments. This feature gives you the ability to tilt your mag holster to suit your preferences. 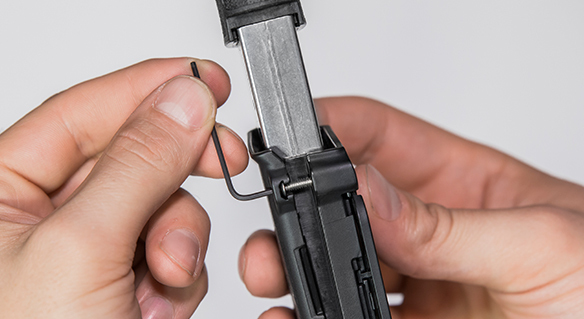 Many open and concealed carriers find it helpful to tilt it forward for quicker, easier access to their spare magazine. With a removable neoprene mag carrier base, you'll experience the comfort our holsters are known for! This space-age material is sweat resistant, flexible and will conform to your side in seconds. 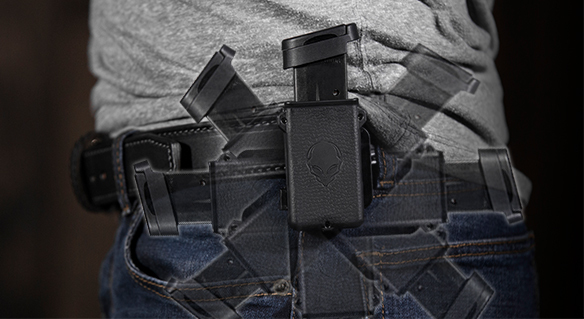 The Cloak Mag Carrier is slim, minimal and altogether concealable. 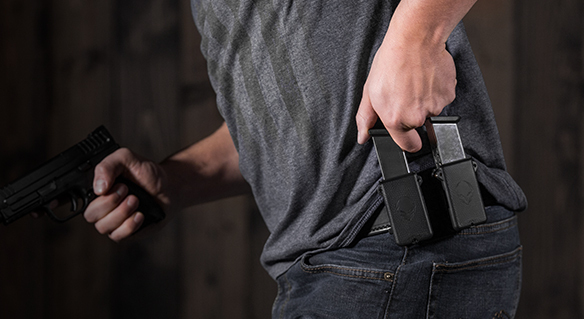 Once tucked into your waistband, this stealthy magazine holster will keep your spare mag hidden at all times. Every order includes a narrow black belt clip, which is designed to create the smallest visible footprint possible. Two spare mags are better than one! 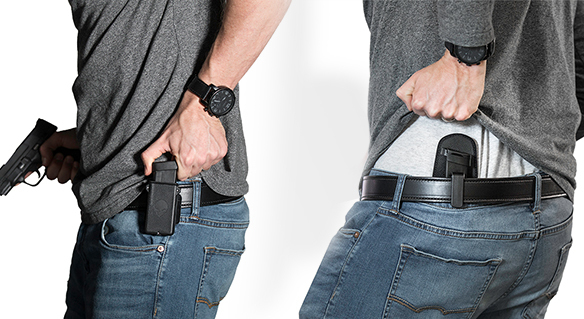 For those looking to holster two magazines at once, we offer the Double Cloak Mag Carrier. This package includes two Cloak Mags and a backer that allows you to OWB carry two magazines with a paddle or belt slide attachment.